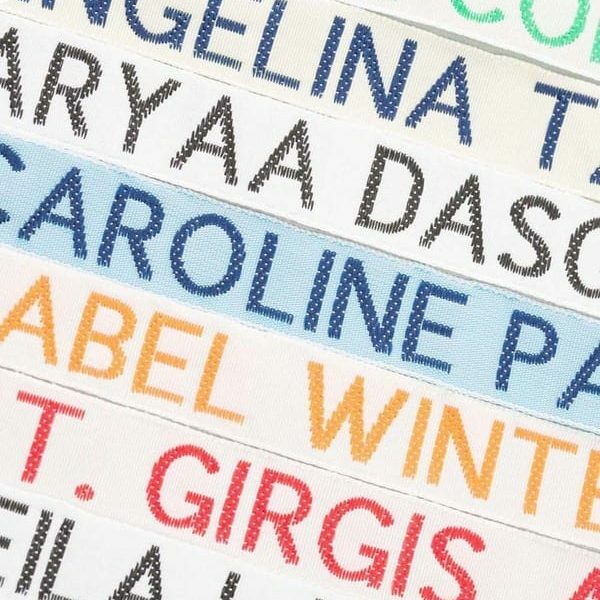 Woven sew in name tags are available in 3 tape sizes including 8mm, 12mm and 23mm deep. 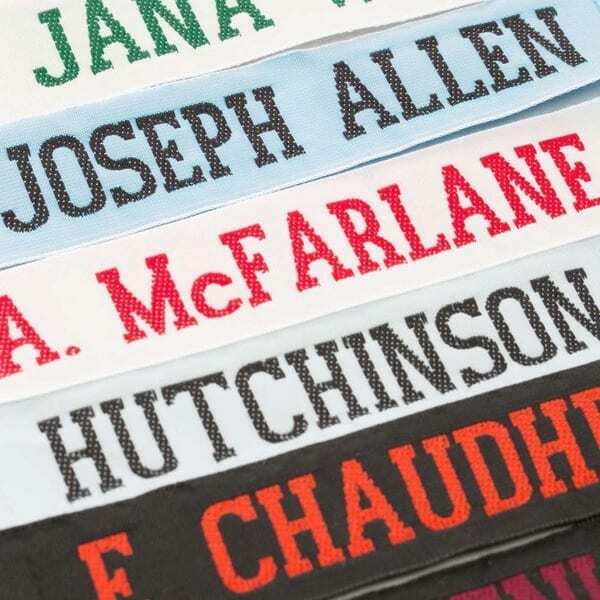 We recommend the 8mm or the 12mm deep sew in name tag for school uniforms and clothing. Whilst the 23mm deep name tag is more popular for naming sports kits on the outer layer of the garment. 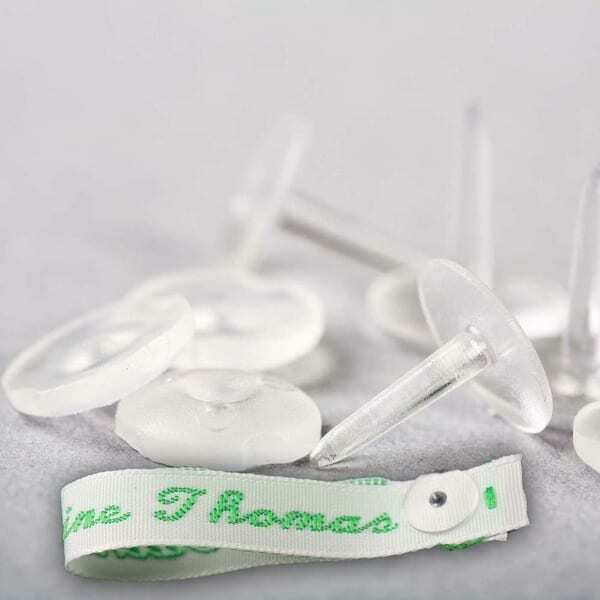 If you need easy application then our label fasteners are perfect for you. 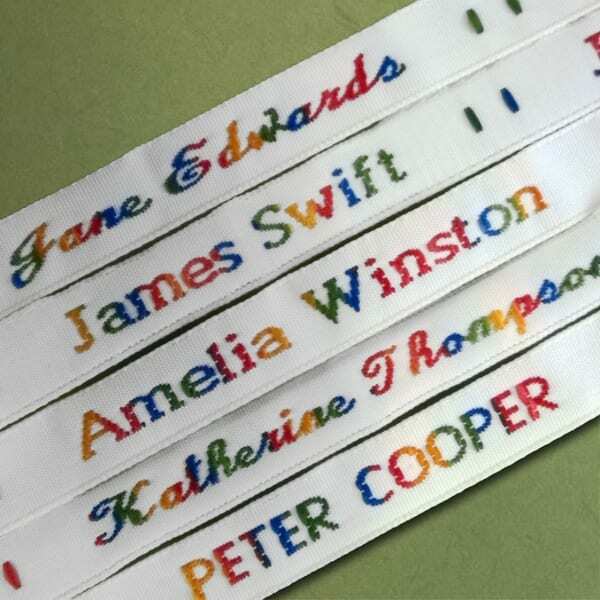 Please note that the length of our woven sew in labels vary according to the length of the name. If you have a long christian name or surname we recommend you use your first initial and surname. For more information and to place an order please click on the individual name tag below.